Pizza is a crowd-pleasing meal. Most everybody loves it because you can have the toppings that you like the best! 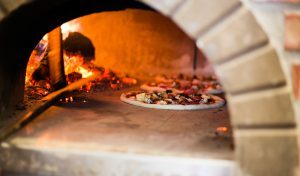 Sure, Dublin is not known for it’s pizza, but these places we have listed below definitely are! Each place is a little different; they all have their own flavours and cooking methods, but they are equally as good. A small, yet cosy restaurant with an odd ingredient that you have to try: Firebee Honey. Fresh, homemade pizza true to its Italian roots. Pizza by the slice; it’s great for a late night snack! Outdoor seating and a large menu, including many vegetarian options. A relaxed atmosphere with some photo-worthy pizzas. Just off of Temple Bar, this place is very popular for more than its location! 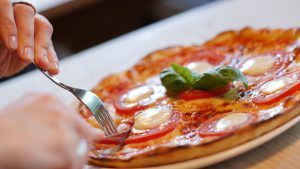 Here you will find tasty pizzas with imported ingredients as well as outdoor seating. Inspired in traditional Neapolitan cooking methods, you are sure to have an unforgettable dinner. Great prices, even better pizza! 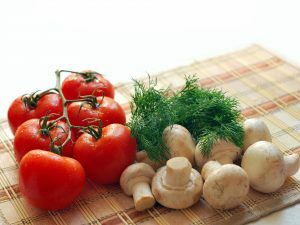 Using fresh and organic ingredients, this is a great place to grab dinner with friends.